Am I overcharging or other issue? Being relativly new to UpWork, Ive been trying to refine my Profile Page and fees to be more in line with expectations/experience. Upon the suggestions of a few UpWork members (Thank You! ), I've added sample work to my Profile Page, uploaded my Portfolio, redone my cover letter, completed an UpWork Logo/Design Test (Top 10%!) AND have an Associates Degree in Web and Print. My current rate is $15hr based on my limited professional references, but I have gone as low a flat fee of $8 for simple work though. All these changes have yeilded no interviews or hires. Am I charging too much? If not, (although I'm addmittingly biased, lol.) does my body of work seem too limited, simple, lack professionalism or talent? Just trying to increase my exposure and offers as I'm trying to adjust to it being my primary source of income. Thanks for ANY advice. Feel free to peek at my Profile for an opinion. 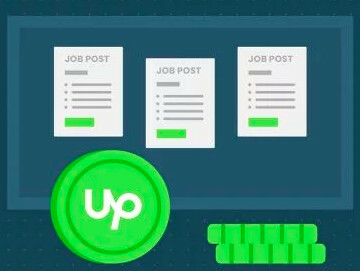 I ran into this issue when I first started trying to find jobs on Upwork about 2 months ago. It could be a combination of things, lack of reviews, and professional pastwork designs, and your proposal writing. Looking through your portfolio you have I would tell you to rework your designs to make them look more professional. Right now they aren't good designs to be honest. When applying to jobs the potential client looks for relevent work partianing to their project and how your pastwork work looks, so reworking it would be smartest. The second thing I am always working on is my proposal writing. 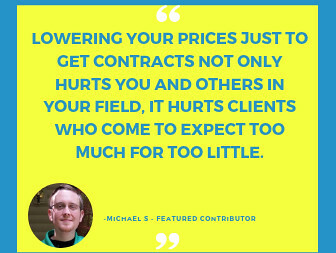 Making sure you are acknowledging what the potential client is in need of, how you feel that you can be an asset, and show your professional work that relates. Also offering to do the job at a discounted price than they are asking for helps. Thank you for looking and answering. Believe it or not, this IS a rework of my original Portfolio. Lol. This one is reflective of actual client work I've done. Looking at others (and yours) I see that many of the inclusions have backgrounds other than white. Is the amount of white giving a sterile/uninspired appearance to my designs? If thats not the issue, what is? While I'm aware i graduate from a Community College, it does have one of the better Graphic Arts Design Programs. In light of that, I was top 20% in the program, so I'm not sure where the disconnect is.... Thank you! Have you read the message I sent you? I apologize. 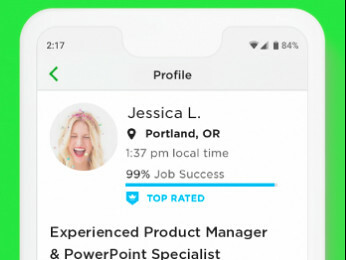 I couldnt find the messages location (very new to upwork community still). I am about to read it and will reply as soon as I do. Thank you for taking the time to message me though, I appreciate. Sent you a message. Thank you for your input!